A vendor sells hats to supporters before a campaign rally for then-candidate Donald Trump in Newtown, Pa. While sales of Trump merchandise helped fund his campaign, large donors increasingly dominate the funding of political campaigns. In 2016, individuals spent $5.2 billion on federal elections. Half of that money, $2.6 billion, came from just 19,145 people, about as many as live in Johnstown, Pa. All of this comes from new research from the Bipartisan Policy Center, which examines American's campaign finance system and how it's coming apart. The exemplar for the new campaign finance system is the superPAC, a conduit for unlimited political funds that is barely 8 years old. "SuperPACs as a vehicle for individual giving — their significance cannot be overstated," said Stanford Law School professor Nate Persily at a recent conference in Washington, D.C. Persily spearheaded the two-year research project for the Bipartisan Policy Center. Although superPACs were envisioned as independent operations, distant from the candidates they supported, the relationships are now much closer. That's how Rick Perry, running in July 2015 in the Republican presidential primaries, came to give a campaign speech at a superPAC event. He ripped rival Donald Trump as campaigning on "a barking carnival act that can best be described as Trumpism." The speech didn't give Perry the boost he needed, and he stopped campaigning less than two months later. Now he is President Trump's energy secretary. But the arrangement — the candidate handing off parts of the campaign to a superPAC — was used by other candidates in 2015, and it has had legs. The practice has brought campaigns and superPACs still closer, even if they can't pick up the phone and call each other. "Candidates, under federal law, may actually appear at superPAC events," said Bob Bauer, a top Democratic lawyer and a co-author of the report. There are bars against coordination between superPAC and campaign, he said, but "it's a bit of a lawyers' festival, as you can imagine." Political reforms usually get amended, often weakened, over time. Since the Watergate-era reforms were enacted, changes have come about through legislation, including the McCain-Feingold law in 2002, and court decisions, such as the Supreme Court's Citizens United ruling in 2010. The changes put immense pressure on the system. Bauer said: "The Watergate reforms held up as long as they could hold up." Ben Ginsberg, a prominent Republican campaign finance lawyer, said the Watergate reforms were intended to break the influence of big interests, "and sort of the exact opposite is the situation on the ground right now." Ginsberg, a co-author of the report, said the contribution limits for individual donors – currently $2,700 per person for each primary or general election – make it hard for candidates to start a campaign well-funded. SuperPACs don't have that problem. "The reality of candidate fundraising is they get rich at the end," he said. "And so there is an 18-month period, sometimes a little more, sometimes a little less, where candidates and what they want to say about a particular issue are completely outgunned by outside groups that they don't control." The report notes that a pipeline of unlimited, secret contributions through 501(c)(4) social welfare groups has slowed to a trickle since 2012. But that might be a temporary dip. Even as superPACs proliferate, small money looms larger than before. Sen. Bernie Sanders of Vermont depended on donations of $200 or less in the 2016 Democratic presidential primaries. He often bragged that his average donation was $27. But the current champion of small-dollar fundraising is Trump. 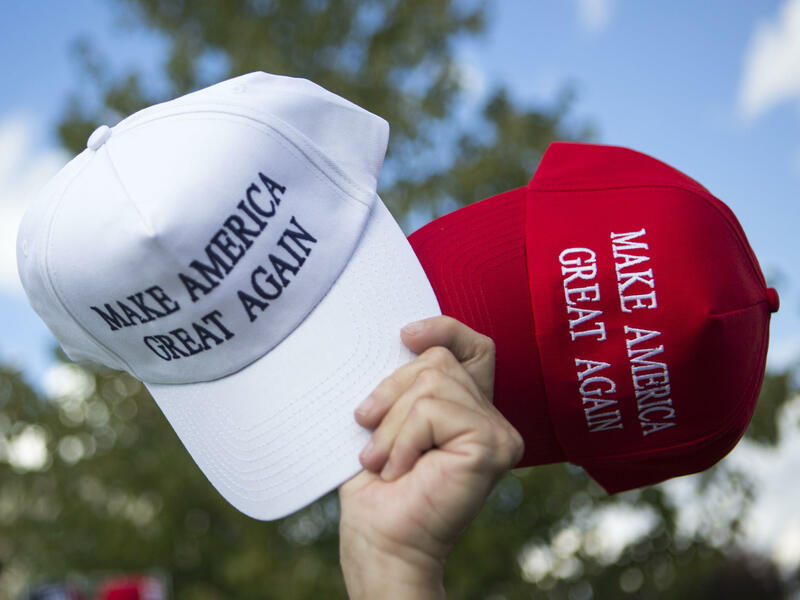 Selling "Make America Great Again" caps and other campaign tchotchkes helped Trump raise a record-setting $239 million from small donors, as much as Sanders and Democratic nominee Hillary Clinton combined, according to the nonpartisan Campaign Finance Institute. CLF "has more offices on the ground, in individual states, than the Republican National Committee does, and the National Republican Congressional Committee, combined," Ginsberg said. The superPAC's Federal Election Commission filings show it raised $26.6 million in 2017, including two donations of $1 million each, but only $1,517 from small donors.